Abbeville High School: Highlights - AHS is going gold! Abbeville High is showing our support for childhood cancer victims and survivors. 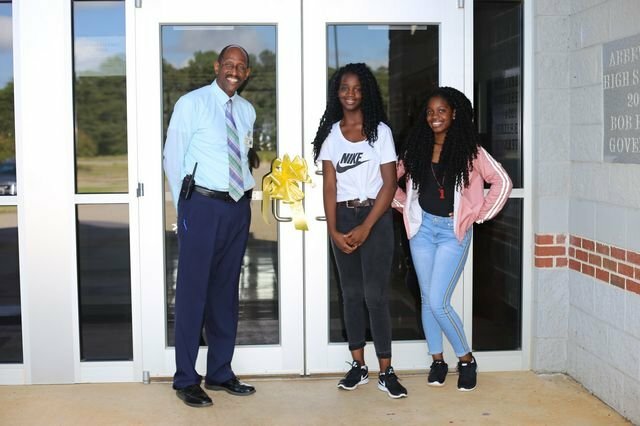 Pictured by the yellow ribbon is Coach Darryl Brooks, principal; A'Niyah Warren, who is a cancer survivor, andher sister, Shakyra Warren.